Product prices and availability are accurate as of 2019-04-21 03:55:40 UTC and are subject to change. Any price and availability information displayed on http://www.amazon.com/ at the time of purchase will apply to the purchase of this product. Author Bookstand is proud to offer Feldpost Letters - Lifeline in a Time of War (Vol. 1) by Bookstand Publishing. Bookstand Publishing offers books by the best indie authors throughout North America and the world. Bookstand Publishing is dedicated to offering original content to a broad audience and promoting great authors, literacy, and freedom of expression. 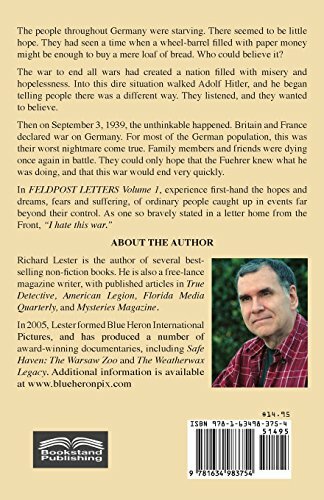 Feldpost Letters - Lifeline in a Time of War (Vol. 1) has generated a lot of interest and excitement and we think it would be an excellent addition to your library. "Nobody told me about the death of Willi." The people throughout Germany were starving. There seemed to be little hope. They had seen a time when a wheel-barrel filled with paper money might be enough to buy a mere loaf of bread. Who could believe it? The war to end all wars had created a nation filled with misery and hopelessness. Into this dire situation walked Adolf Hitler, and he began telling people there was a different way. They listened, and they wanted to believe. Then on September 3, 1939, the unthinkable happened. Britain and France declared war on Germany. For most of the German population, this was their worst nightmare come true. Family members and friends were dying once again in battle. They could only hope that the Fuehrer knew what he was doing, and that this war would end very quickly. 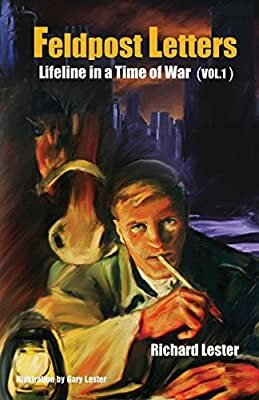 In FELDPOST LETTERS Volume 1, experience first-hand the hopes and dreams, fears and suffering, of ordinary people caught up in events far beyond their control. As one so bravely stated in a letter home from the front, "I hate this war."